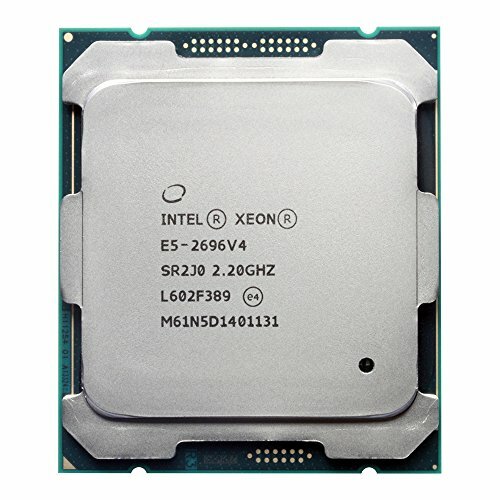 The item for sale is a genuine Intel Xeon E5-2696 v4 OEM processor SR2J0. The E5-2696 v4 is almost identical to the retail processor E5-2699 v4 in terms of features and specifications. The E5-2696 v4 has slightly higher turbo frequencies when loaded with less than 10 cores (all-core turbo frequency is the same between the two); whereas due to a slightly higher thermal design power (TDP = 150W), it is not compatible to some motherboards with a 145W TDP limit . Each item will be sold individually with an original Intel anti-static clamshell protector.